Feel like a boat owner without the cost of buying a boat, insuring it, paying for dockage, and maintaining it. Wow! How else can you sail as much as you like without owning your own boat? 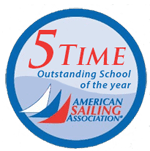 It is impossible unless you become one of the lucky members of a Lanier Sailing Academy sailing clubs. Our sailing clubs help you make the transition from Basic Keelboat (Beginner Course) to skipper of a yacht. The Passport Sailing Club is available to those who sail Atlanta on Lake Lanier and the Buccaneer Sailing Club is available to those who sail Pensacola Bay. Continue to build your sailing skills. Entertain the family, friends and associates. Meet and sail with sailors of all backgrounds and experience levels. The expense of owning a boat. To sail the same boat every time you’re underway. To miss a beautiful sailing day to repair or maintain your boat. A boat mortgage, insurance, taxes, fuel, slip fees or maintenance. Our community sailing clubs offer you a fantastic chance for almost unlimited sailing at 20% of the annual cost of boat ownership. Think it’s too good to be true? Think again! It’s easy, fun and affordable. Please give us a call at 1 (800) 684-WIND (9463) to find out more.